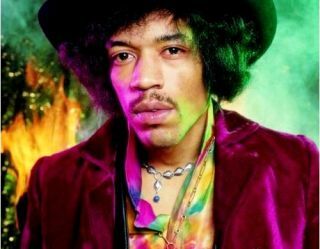 Experience Hendrix, the company formed by the estate of Jimi Hendrix, has signed a new deal to release the guitar legend's music. Universal Music Publishing Group will become the exclusive administrator of the Hendrix catalog (outside the United States) and Jimi's sister Janie says there is "10 more years" of material in the vaults. Via the deal, Experience Hendrix expects to release at least two 'new' albums in 2009. One will be on its Dagger 'bootleg' imprint, which is sold only through its website. There are also CDs and DVDs expected of the Jimi Hendrix Experience's 1969 performances at London's Royal Albert Hall, as well as behind-the-scenes footage. Janie Hendrix says the latter will be a "reality TV" glimpse of the legendary guitarist. Janie Hendrix is currently also overseeing studio work "transferring tapes of Band of Gypsys performances that have never been released before." She told Billboard, "it was a wonderful deal (Universal) offered us. Everything has to come through me for approval." She added that she will ensure that any new opportunities "uphold the standard of the music." According to industry analysts Nielsen SoundScan and Billboard, downloads of Hendrix songs grew from 800,000 in 2007 to 915,000 in 2008 (USA), while his CD catalogue continues to sell around 1.2 million worldwide per year. As such, Jimi Hendrix has possibly the most expansive posthumous catalogue of any artist. He released just three studio albums in his lifetime, yet some experts estimate there have been over 160 albums now issued. In 2008, Hendrix archivist John McDermott confirmed exclusively to MusicRadar that an album of material featuring Jimi Hendrix and Stephen Stills was in the pipeline. Is the new deal a legitimate exercise to bring Jimi's music to a new audience, or a poor attempt to exploit existing fans?